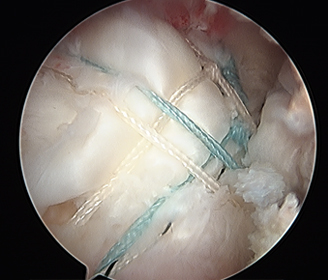 If there is no need for a tendon repair and only the inflamed bursa and a bone spur is removed, then return to daily use of the arm and sports participation may be on the order of several weeks. 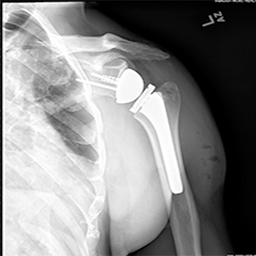 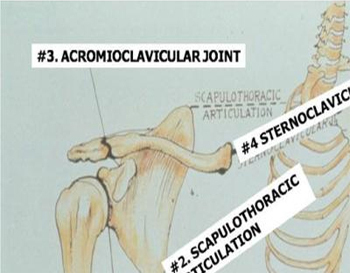 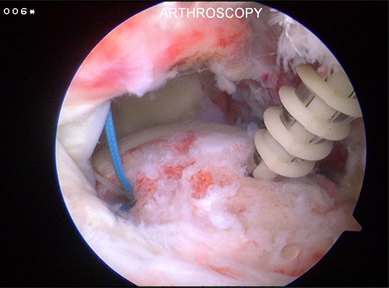 Arthroscopic images demonstrating massive rotator cuff repair of three tendons including subscapularis (SSC), supraspinatus (SP) and infraspinatus (IP). 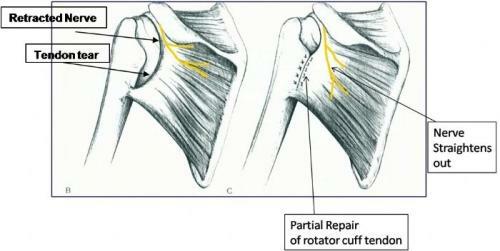 Utilization of a “Double Row Repair”. 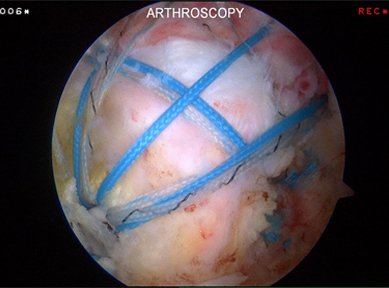 The most stable and biomechanically strong repair available. 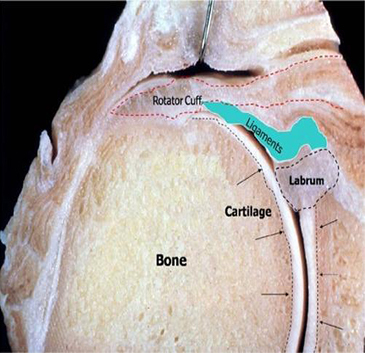 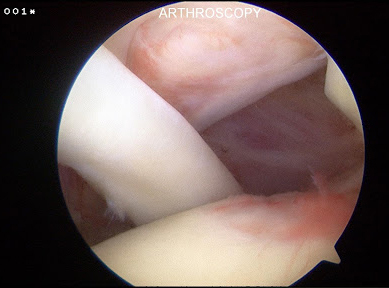 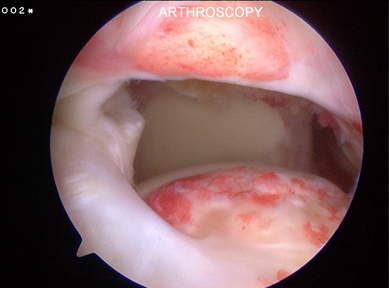 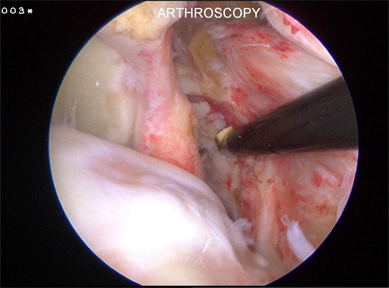 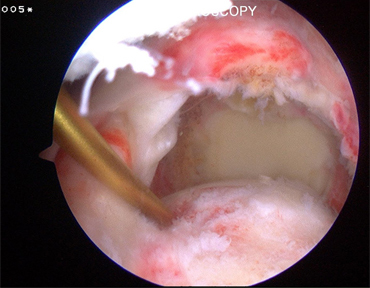 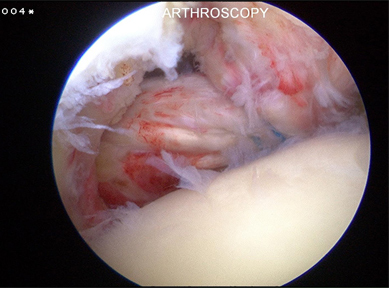 Arthroscopic Partial Repair: This is generally reserved for patients who have reasonable function and are not profoundly weak. 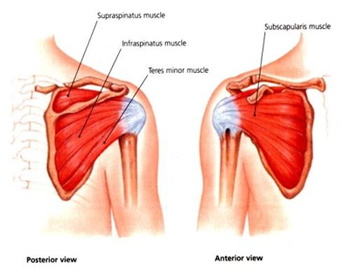 Arthroscopic Suprascapular Nerve Release (with or without rotator cuff repair): This is a method generally reserved for patients with pain felt over the top and back of the shoulder and in absence of another explanation for the pain. 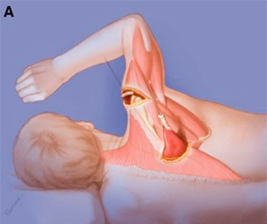 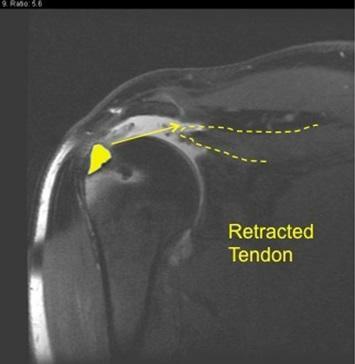 Tendon Transfer: This is a relatively rare procedure reserved for those patients with weak shoulders which are not so weak as to appear almost paralyzed (pseudoparalysis). 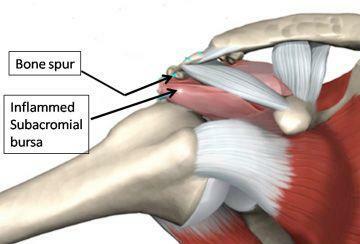 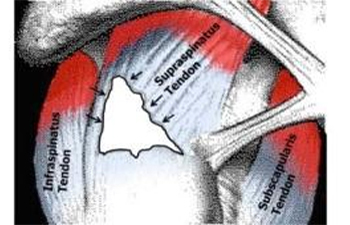 This procedure involves extension and transfer of the trapezius tendon from the back of the shoulder. 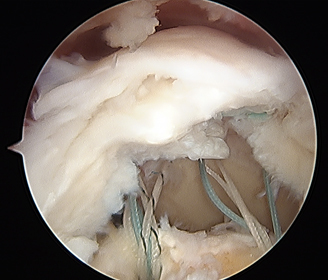 This requires an incision in the back of the shoulder as well as the top of the shoulder. 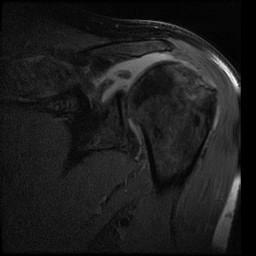 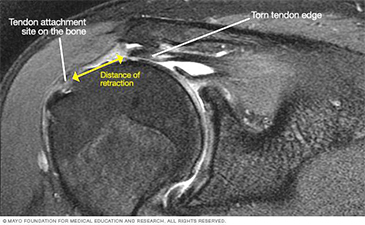 Tendon Transfer for Irreparable Subscapularis Tendon Tear: In these cases, the rotator cuff tendon in the front of the shoulder is torn and irreparable. 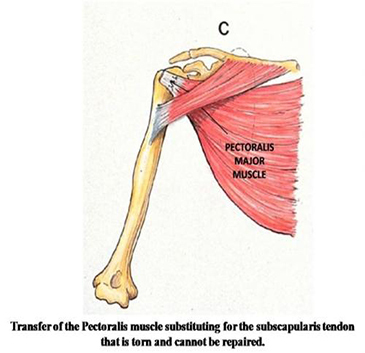 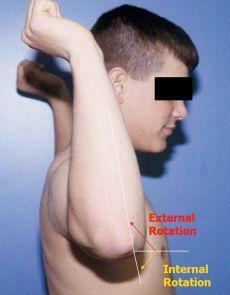 In some cases, transfer of the pectoralis major muscle will improve function and alleviate pain.